We’ve been having a great time this spring with an initiative to encourage the kids to write more. With daily prompts that ask such questions as What would be your superpower? or start with “When I woke up this morning and went outside, something fell on my head…” we have been getting some great responses. One of our most reluctant writers now walks in and the first thing he says is, What are we writing about today? Now, we are asking students to pick their favorite story to revise so we can work with them on spelling, punctuation, sentence structure, and so on. Once that’s done, we’ll have a celebratory ice cream sundae party! 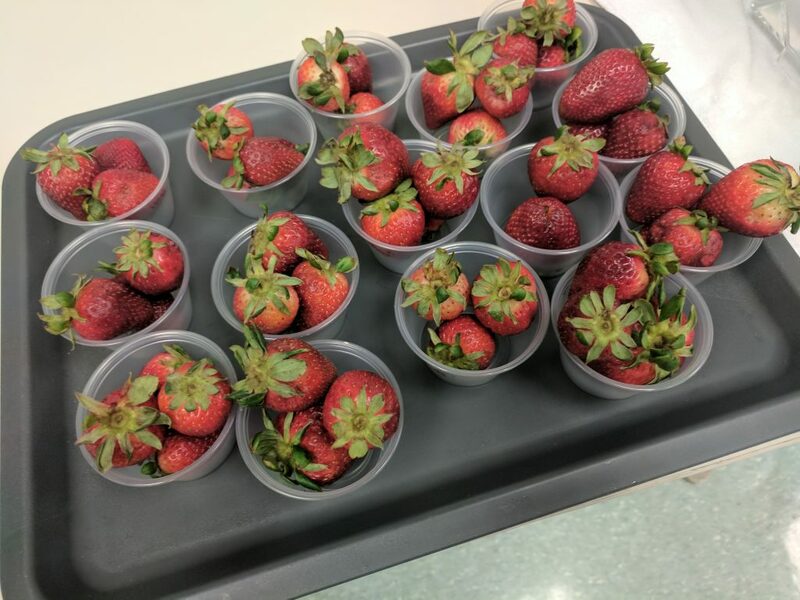 In the meantime, we are focusing on healthy snacks, such as these beautiful strawberries that the kids just love.